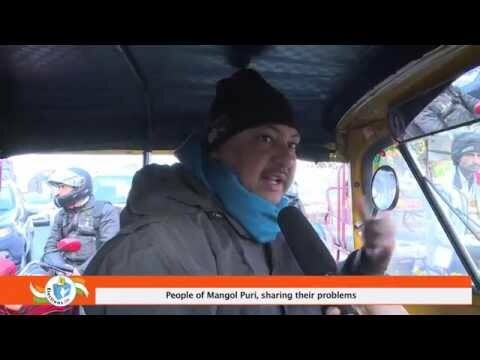 Mangol Puri Assembly constituency falls under the North West Delhi parliamentary constituency of NCT of Delhi. Despite the government's initiatives on infrastructure and basic amenities, the basic problems faced by people are those of inflation and the government's inability to control prices. Mangol Puri has been a Congress bastion since 1993 and local MLA Raj Kumar Chauhan won four back-to-back elections. But 2013 Delhi Assembly elections witnessed a twist with AAP's Rakhi Birla defeating Chauhan by a margin of close to 11,000 votes. 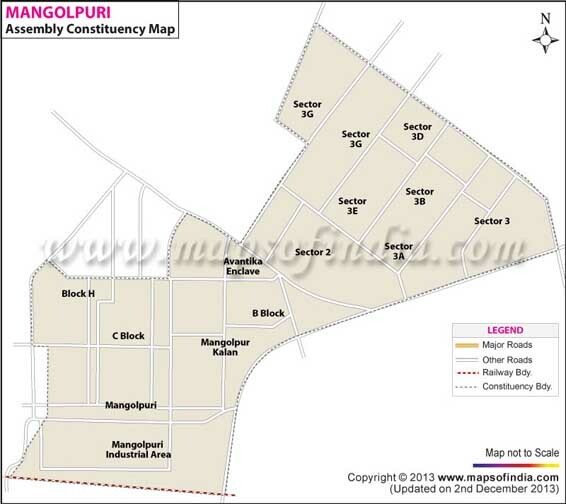 Map showing the different localities of the Mangol Puri Assembly Constituency. Below is the list of winners and runners-up in the Mangol Puri assembly elections conducted so far. Who will win Delhi MCD Elections 2017 and Why? Is Delhi government concerned about the rising air pollution in the state? Last Updated on 22 April, 2019.